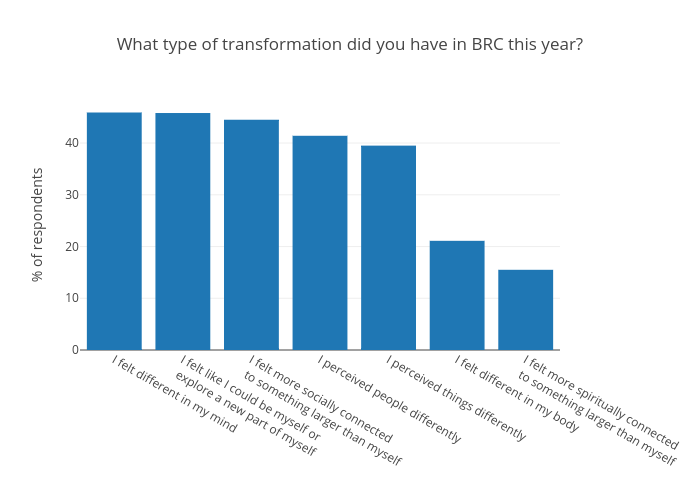 Mattsundquist's interactive graph and data of "What type of transformation did you have in BRC this year?" is a bar chart, showing B; with % of respondents in the y-axis. The x-axis shows values from -0.5 to 6.5. The y-axis shows values from 0 to 48.31578947368421.